The Amritsar Vikas Manch has demanded the development of Amritsar as a World Class Tourist destination. In a letter to Chief Minister S.Parkash Singh Badal copies of which have been sent to Lok Sabha Member S. Navjot Singh Siddhu, Cabint minister S. Bikram Singh Majithia & Smt. Lakxmi Kanta Chawla the Manch Patron Dr. Charanjit Singh Gumtala stated that Amritsar is the only city of Punjab, which has great tourism potential, national as well as international. 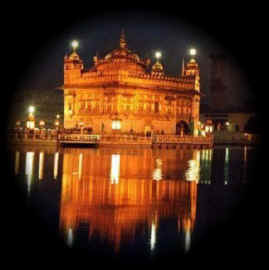 It is the only city of Punjab, which is famous all over the world because of the Golden Temple. It has 42 other religious and historical shrines including Durgiana Temple and Ram Tirath Temple. It has an international airport also. Therefore, Amritsar, the city of such multiple importance and tourism potential should be developed as a world class tourist destination of India. Kurukshetra and Varanasi are being developed as a world class tourist destination of India with the help of Union Ministry of Tourism, which is spending several crores for the infrastructural facilities. The A.P Govt. has also prepared a massive plan of Rs.2300 crore for the development of Hyderabad as a major tourist destination. Malaysia has given Lucknow the status of must stop on its tourist’s map. The Punjab government should also prepare a comprehensive plan for the development of Amritsar as a major tourist destination of India with the help of Ministry of Tourism, Government of India, Non-Resident Indians/Punjabis and Multinational Companies. It should project Amritsar as a Tourism Destination of Punjab to the whole world. According to Dr. Gumtala Amritsar Tourism and Industrial Development Corporation should be set up on the pattern of Chandigarh and Delhi to promote tourism in the holy city. Amritsar should be developed as a well planned ultra modern beautiful world class cleanest and greenest city. For this purpose Greater Amritsar Area Development Authority should be immediately created which should ensure planned growth within the city and 15Km area around the city, keeping in mind its future growth in the next 50 years. Amritsar needs world class infrastructure---transportation, road network, Street light, storm water drainage and greenery in the city, which is very much lacking at this time.